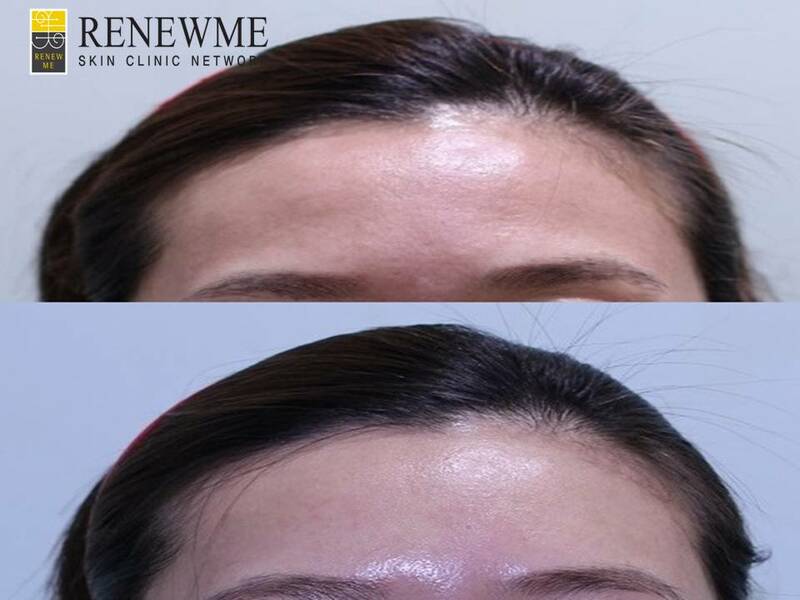 Renewme Skin Clinic: Make beatiful foreheads and Make small face too! Most girls are dreaming of having bulging foreheads for beatiful shapes on thier face. If girls have round shapes on thier forehead, they would feel having a small face comparing to other people who do have flat forehead. Also, making bulging on forehead would make you more younger than now. Check the pictures blew. We can see the difference, right? Let's see what therapy they have now. During our teenager, we had round forheads, but the middle of forehead is going to be sinked by fats as time goes by during adult period. Because of this problems, most girls wants to have round shape and contour thier forhead, and even make thier face smaller. Resylane filler is a gel formation of hyaluronic acid, approved by the FDA for its safety and effectiveness. 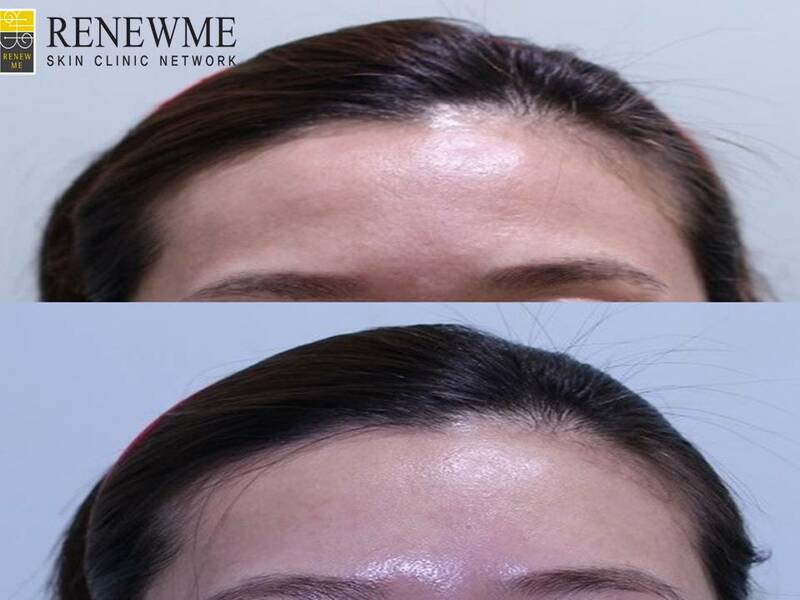 It is used primarily for filler procedures, especially wrinkle repair and facial contouring. It also lasts for more than 2 years and regerate collagen to make volume and help wrinkle tightining for forehead as well. Our patients who have Resylane filler on thier forehead and chin are satisfied on thier effective results. 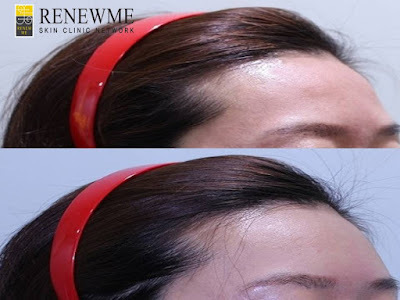 If our doctors recommend Resylane filler therapy, patients are worried about having inapprocaite shape on thier area after treatment, they don't need to worry about it. This therapy is more proper for bulging thier area than Dermal fat graft. After you have this therapy, you would have more proper shape on your forehead like yours.